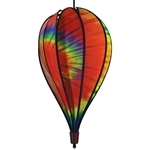 Hanging Balloon Spinners from Premier Kites and Designs. 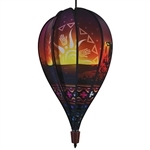 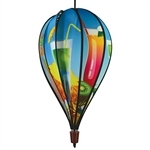 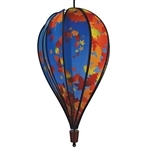 Too small for passengers but huge on visual excitement, these spinning balloons are a delightful way to enhance any porch or deck. With several sizes and a sky full of styles, you will not have any problem finding the right one!